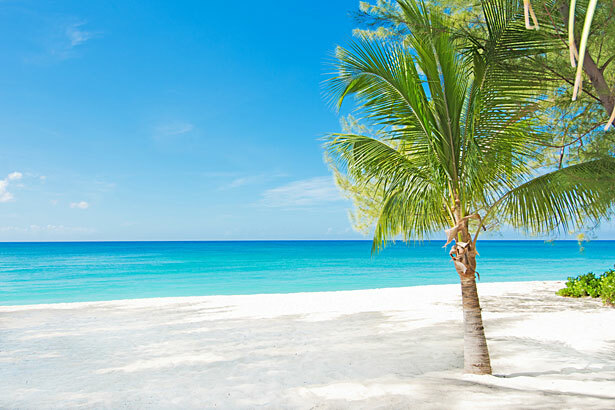 White Sands #1, Seven Mile Beach, Grand Cayman, B.W.I. 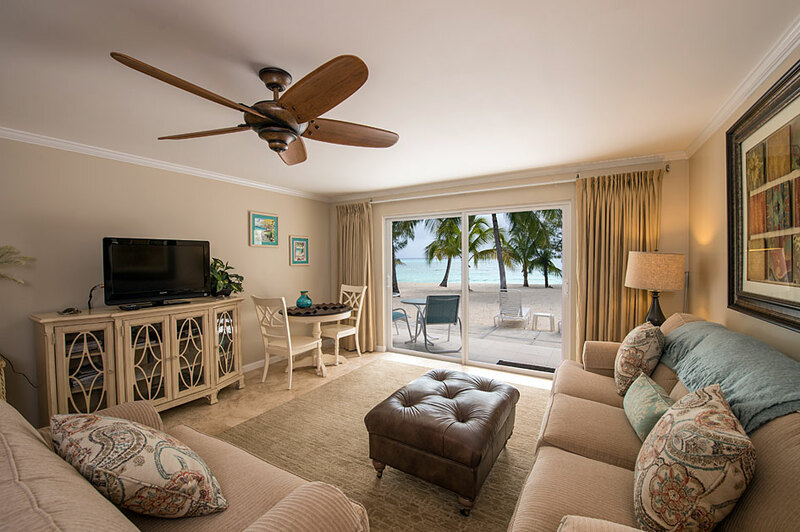 White Sands, a small beachfront condo resort on Seven Mile’s quiet north shore, is the very definition of "Caribbean paradise" with its white sand, shimmering turquoise water, tall palm trees—and three hammocks facing the sea for the ultimate tropical nap. 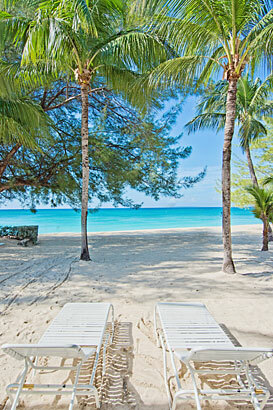 White Sands' pristine, totally private stretch of beachfront is hands-down one of the best locations on Seven Mile Beach. 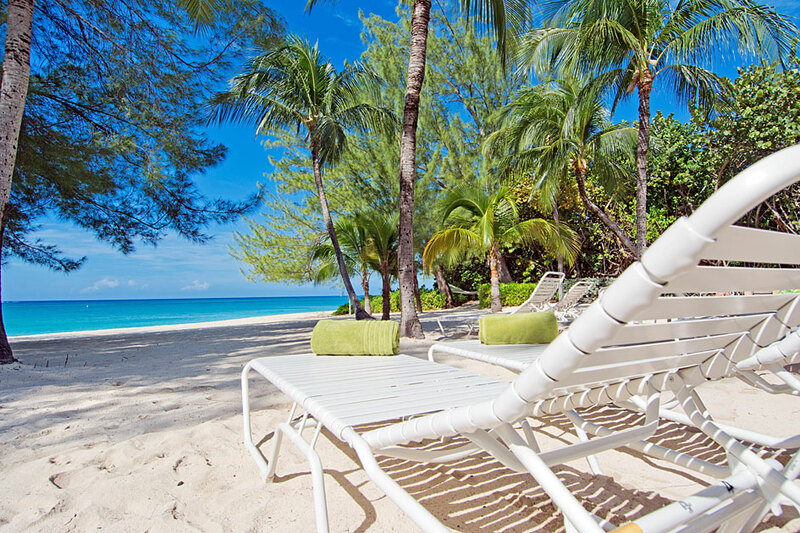 Not only do you get the seclusion of a private beach, Seven Mile’s best restaurants, shops and beach bars are just a short stroll down the shoreline. 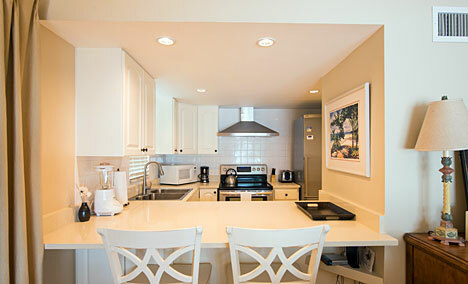 And this unit, one-bedroom, one-bath White Sands #1, is the perfect place to retreat to at the end of a day at the beach. Sliding glass patio doors in the living area let in views of the sea and open to a café dining table for two in the warm breeze. Imagine making this the setting for your morning coffee! 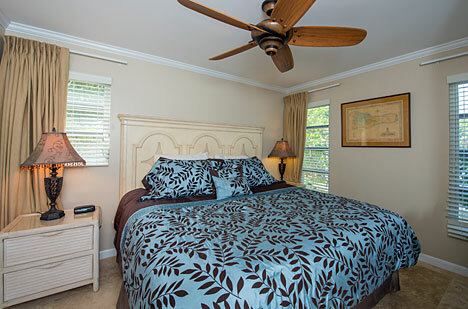 To add a couple more guests to your vacation, a queen-sized sofa sleeper in #1 sleeps 2, for a total of 4. With this add-on accommodation, White Sands #1 functions well as either a romantic retreat or a haven for a small family. The kitchen, with its hooded, stainless steel gas range and countertop seating, is an excellent place to begin a seaside meal. Finish it by savoring it out on the beachfront patio in the warm breeze! White Sands #1 is blanketed in soft, contemporary coastal colors, with crisp white, sand beige and pale blue-green fabrics and paint throughout. 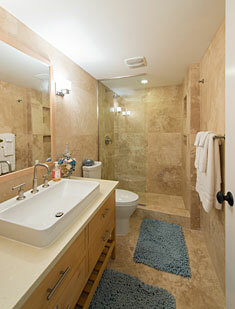 High-quality bed linens on the king-sized bed and plush spa-like towels in the bathroom add to the luxury experience. These thoughtful, quality details make all the difference for White Sands’ guests.